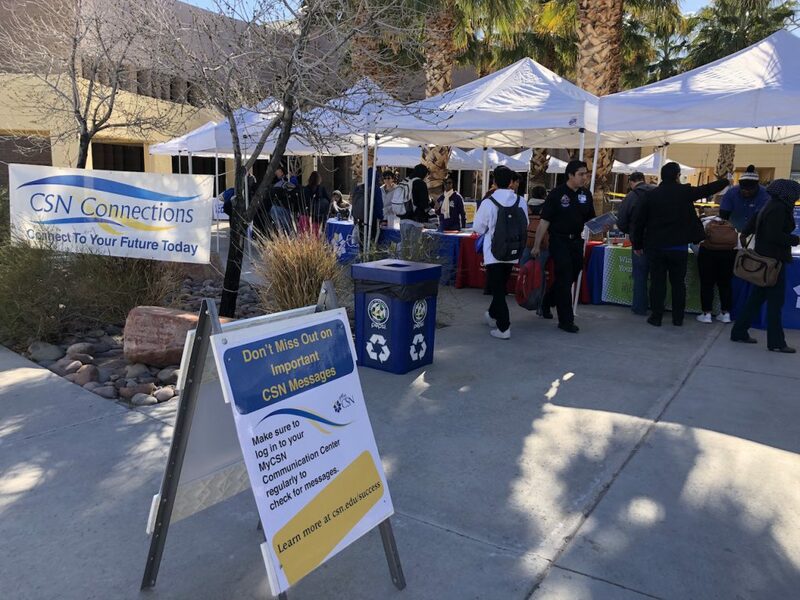 CSN recently completed the spring 2019 Connections events on all three campuses. 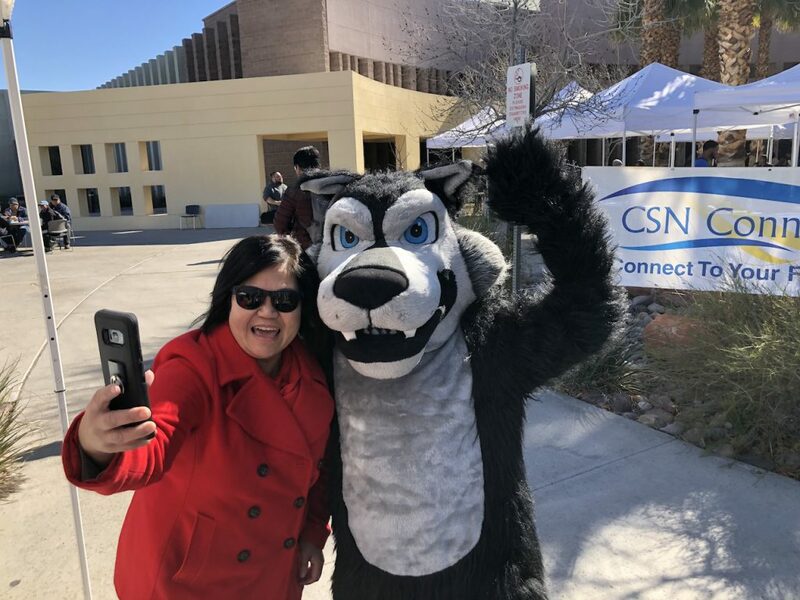 The events help students connect to any number of the vast resources available on campus, including financial aid, tutoring and transfer options. 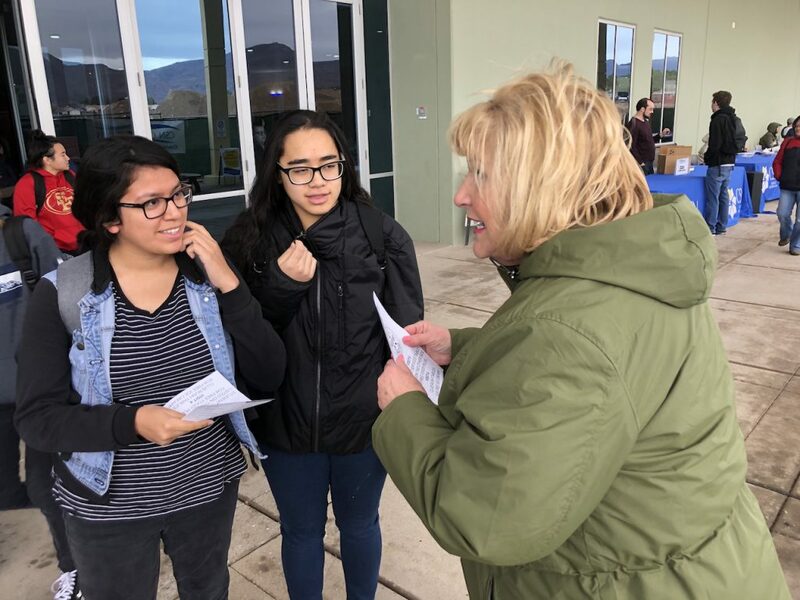 Cold, windy weather didn’t deter representatives from more than two dozen departments and services and hundreds of students from taking part in the event. 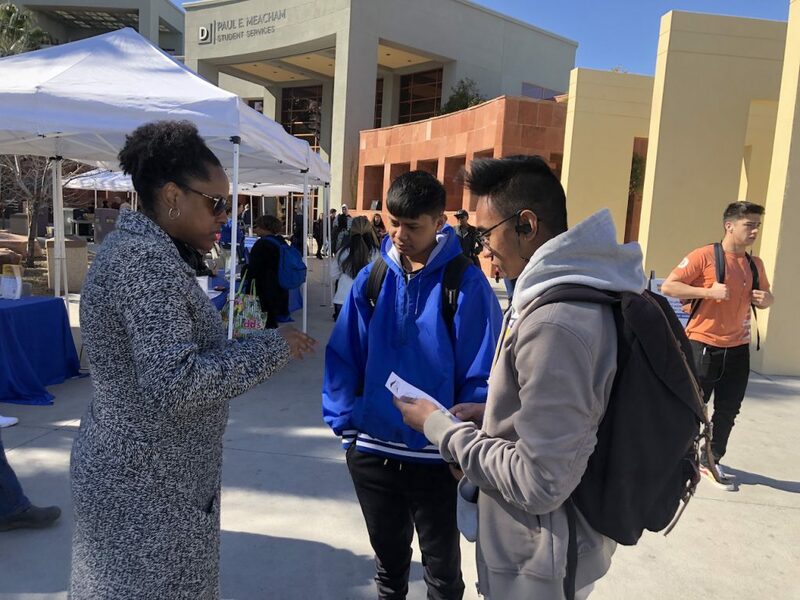 Each student was given a “passport” and directed to visit a handful of tables from the list. 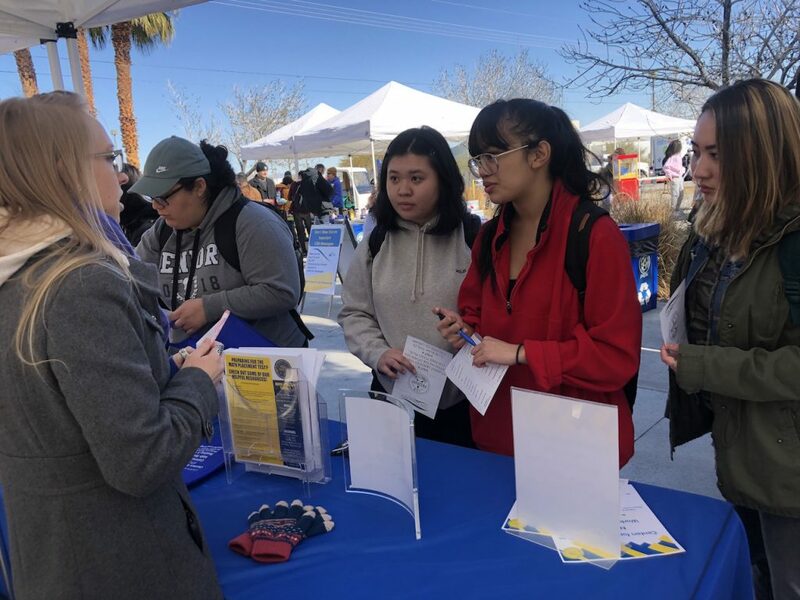 The Regional Transportation Center’s Club Ride and U-Pass table proved popular at all three campuses. 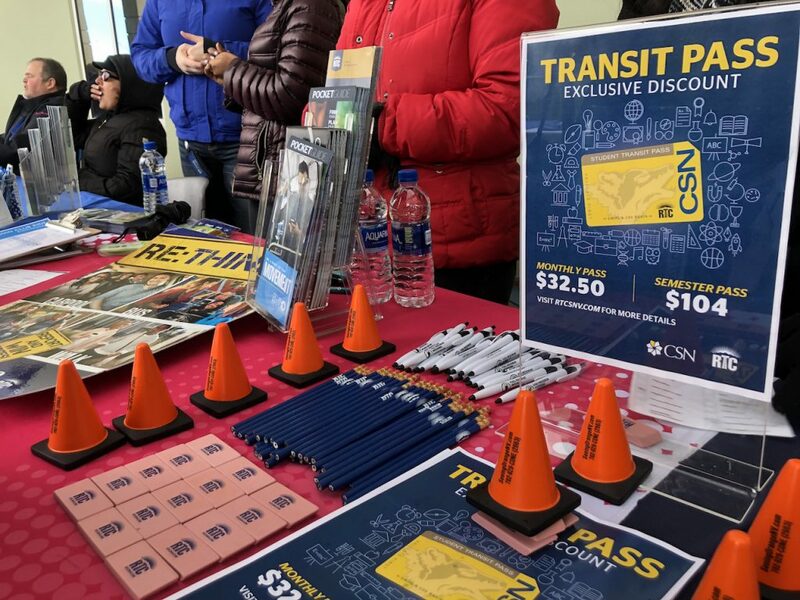 CSN students are eligible for a discounted bus pass through RTC. 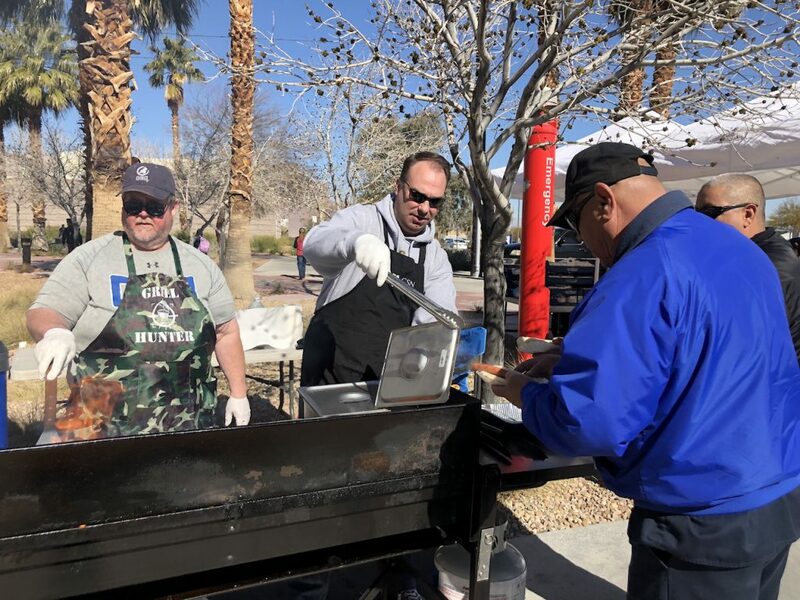 Once they were done, students were served a free lunch grilled up by CSN faculty and staff. 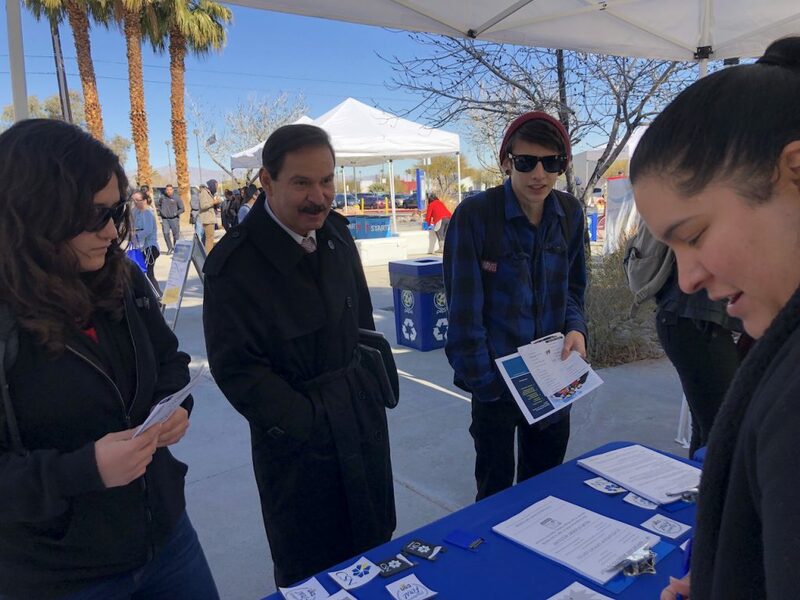 CSN President Federico Zaragoza attended the event on the Charleston Campus, where he joked about enrolling in a work study program at the financial aid table.